Somewhere between four and 12 percent of reproductive-age women are believed to suffer from polycystic ovary syndrome, making it one of the most prevalent hormonal disorders out there. PCOS affects more than the reproductive system alone — the hormonal picture associated with the disorder can interfere with your metabolism and heart health, too. If you have recently been diagnosed with polycystic ovary syndrome, it's essential that you be aware of the possible complications, many of which are related to insulin resistance and obesity, as well as to check in with your doctor regularly. While far from everyone with PCOS will develop these complications, timely diagnosis, as always, helps you receive the best treatment possible. Excessive production of androgens — "male" hormones — is one of the hallmarks of PCOS, and high levels of these hormones can prevent ovulation (the release of eggs) or make it less regular, resulting either in infertility or subfertility. Not every PCOS patient will have trouble conceiving, but many do. It isn't uncommon for a woman to only be diagnosed with PCOS when she and her partner have been trying to get pregnant for a while. If you have PCOS and are hoping to get pregnant, one of the things that may — paradoxically — help is to go on combined oral contraceptives for a while. These birth control pills come with both estrogen and progestin, and often make the menstrual cycle more regular, even when they are discontinued. Progestin-only options are also available. 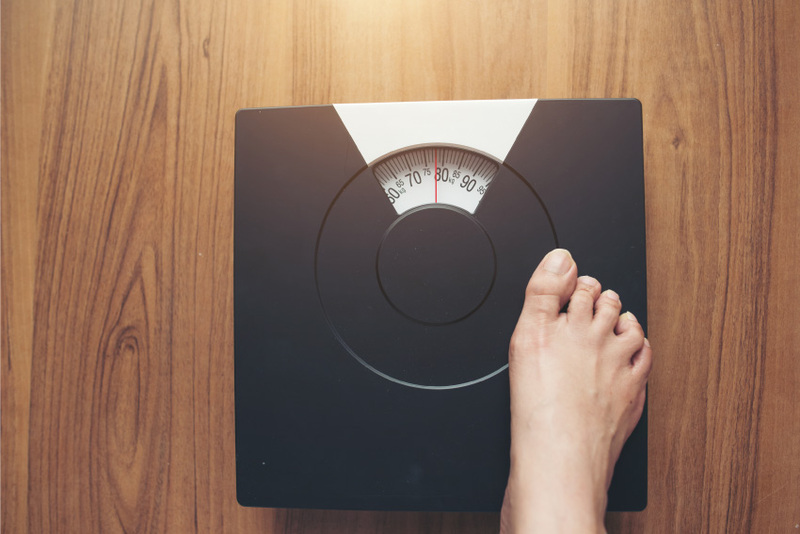 A whopping three quarters of women with polycystic ovary syndrome are believed to be either overweight or obese, and they may find it hard to bring their weight down to a healthy level with lifestyle changes alone. This is because the women with PCOS are also often insulin resistant, leading to high blood sugar levels. Insulin resistance promotes the production of excessive androgens, and that, in turn, can cause you to put on weight — along with leading to hair growth in places typically associated with men, acne, and irregular menstrual cycles. Fat typically accumulates around the abdomen in women, but those who have PCOS are more likely to find that their fat seems to stick to their hips, thighs, and bottom. Ask your doctor about the diabetes drug metformin if you have trouble losing weight naturally. Many women with PCOS have insulin resistance. We all know insulin's got something to do with diabetes, but what? This important hormone, produced by the pancreas, is responsible for keeping your blood sugar levels steady, together with glucagon. High insulin levels can have far-reaching consequences, including higher testosterone levels. Research reveals that women who live with polycystic ovary syndrome are up to seven times more likely to fall victim to either prediabetes or type 2 diabetes, as well as being at risk of developing gestational diabetes during pregnancy. Being overweight only adds to the odds. As a PCOS patient, you have twice the risk of high blood pressure than other women, and this is connected to high insulin levels, high androgen levels, and high plasma homocysteine levels. Your bloodstream is more likely to contain "bad" fats while being low on HDL cholesterol, which all leads to a higher risk of heart disease. While women who live with polycystic ovary syndrome seem to have a higher risk of suffering from endometrial cancer as they get older, this risk isn't caused directly by PCOS. The culprit can rather be found in infrequent menstrual periods — something that often happens in women who do not ovulate. When you don't have periods very often, the uterine lining builds up, making it more likely that cells will become cancerous. What can you do about infrequent menstrual periods? Combined oral contraceptives artificially regulate the menstrual cycle, lowering your odds of endometrial cancer significantly. Both maintaining a healthy weight and exercising regularly can also help make your periods more regular, again decreasing your risk of endometrial cancer. Obstructive sleep apnea is characterized by periods of shallow breathing during sleep — and even periods during which you stop breathing for a while. This scary condition isn't uncommon in obese people, and many women with PCOS struggle with obesity — but the reason for the increased risk of sleep apnea seems to be more complicated. Increased testosterone levels and lower estrogen levels, too, contribute, as does insulin resistance. Surprisingly, research suggests that many doctors who treat PCOS patients aren't aware of how much of a problem sleep apnea is in people with the condition, while studies haven't been able to identify just how prevalent it ism either. Ask your doctor if you could be suffering from sleep apnea, and watch out for the noticeable symptoms — snoring, daytime sleepiness, and impaired concentration — yourself, as well.